XVA, in the simplest terms, is about capturing the costs of running an OTC derivatives operation. However, it is far from simple. As valuation adjustments represent a real cost, and are having increasingly onerous impacts on balance sheets, they must be factored in everywhere OTC derivative pricing and valuations live within an organization, and should not be limited to the xVA desk, risk management, or accounting operation. 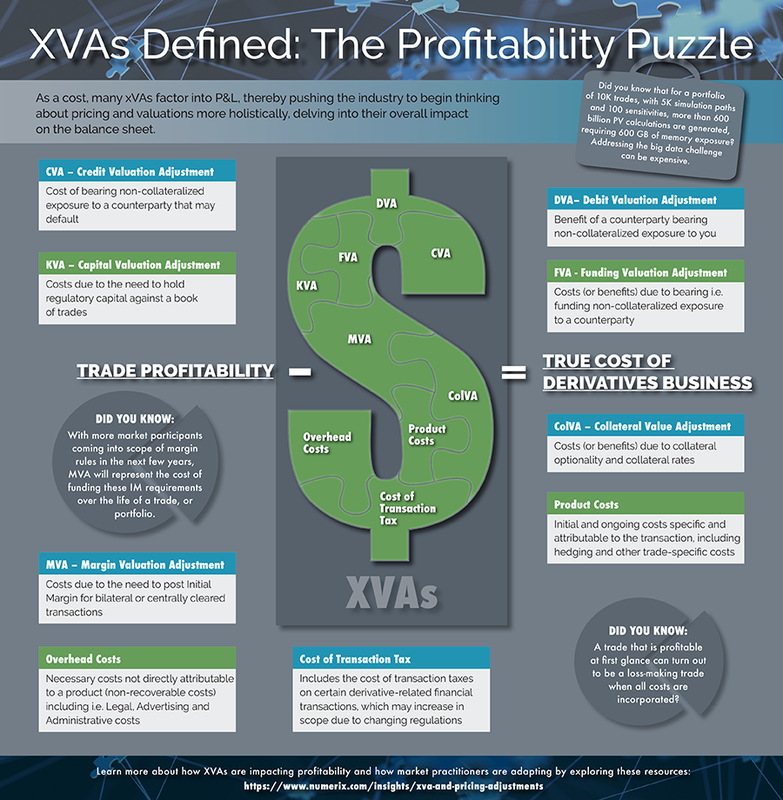 In this info graphic Numerix experts break down the growing list of XVA pricing adjustments impacting derivatives, explore how they interact and their relationship to the overall profitability of a derivatives business. XVAs covered include: CVA, DVA, FVA, KVA, MVA, and ColVA – as well as Product Costs, Cost of Transaction Tax, Overhead Costs.